Students who've already completed some college are earning a degree in Organizational Leadership at an average cost of less than $4,500. 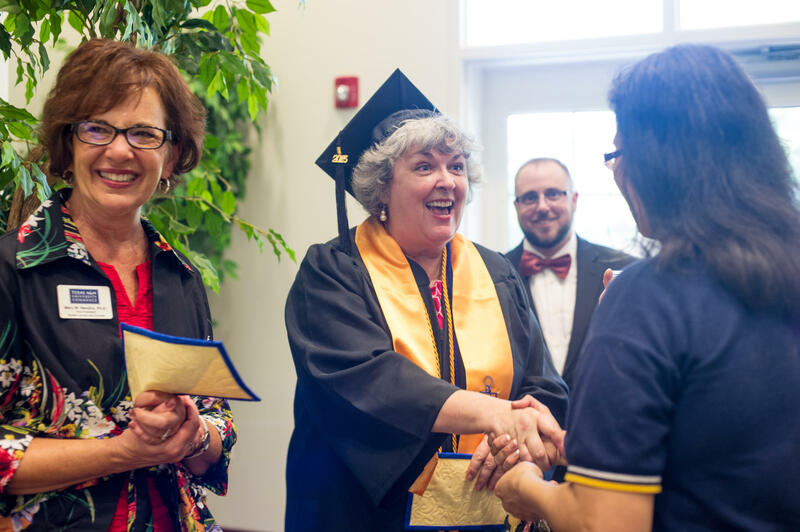 As ever-increasing tuition rates at many colleges and universities are putting a college education out of reach for some, Texas A&M University-Commerce is developing a program that has helped students earn a degree at a cost comparable to a single year at some schools. The Texas Affordable Baccalaureate Program is the state’s first competency-based bachelor-level degree from a public institution. The course of study leads to an applied arts and sciences degree with an emphasis in organizational leadership. The competency-based aspect of the program allows students to test out of parts of the coursework if they can demonstrate skills in the requisite areas. In part because of that dynamic, the average amount spent on tuition by students completing the program is currently a little less than $4,500. “Instead of having to repeat things that you already know, you advance to those areas in which you don’t know,” Texas A&M University-Commerce Vice-President of Student Access and Success Mary Hendrix said. Part of the course of study includes students creating a portfolio that displays their work and skills set for potential employers, Hendrix said. On Oct. 26, the Texas Higher Education Coordinating Board announced that A&M-Commerce is the winner of the 2016 Star Award, an honor given "for exceptional contributions toward meeting one or more of the goals of 60x30TX, the state’s strategic plan for higher education."